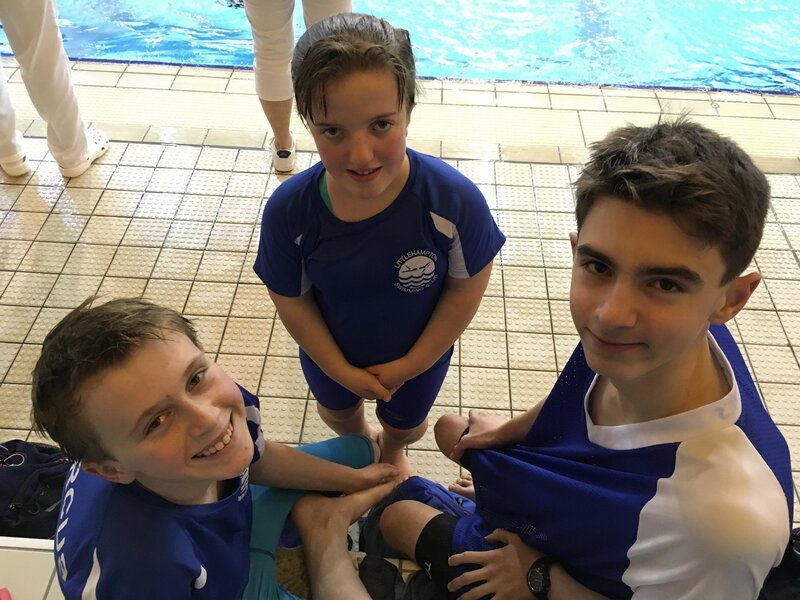 Georgie Howell, Joe Greaves and Marcus Harvey all travelled to Bristol this weekend for a successful South Area Para-Swimming Event. S6 classified swimmer Georgie, 14, won both the 100m breaststroke and 50m butterfly events; coming 2nd in the 50m freestyle and 200m individual medley. Joe and Marcus are both going through the classification process for S14. Joe, 13, won his 50m breaststroke and came 2nd in his 50m backstroke. His 50m breaststroke was a 9 second PB, whilst his 100m freestyle was a 10 second PB! Marcus, 11 year old, swam PBs in his 50m backstroke and 50m breaststroke events. Previous: Previous post: Aqua Aerobics Night got Hot and Wet!